Lakeside park is amongst JAAG’s most loved open space assets and its one of Victoria’s most popular parks with 6 million users a year. JAAG residents say they love using the Park for quiet Lakeside walks, enjoying its teeming wild life, watching cricket at the Junction oval, enjoying café visits, using its safe bike paths and even as a scenic drive into South Melbourne. Year round it hosts events like the Grand Prix, Million Paws Walk, the Lake Regatta and the Taste of Melbourne. But with the south eastern corner of the park somewhat of a wasteland with few visitor facilities, it’s important that our community has the opportunity to have its say on how our Park can be improved and made even better. A ‘Park’ master plan which will be developed during 2014 is being drafted to set a 20 year vision to guide it through the next stage of its history. 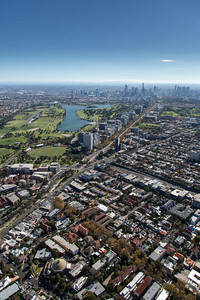 www.albertparkmasterplan.com.au or call 13 1963 and ask for the Albert Park master plan team.